Click to edit a layout area. 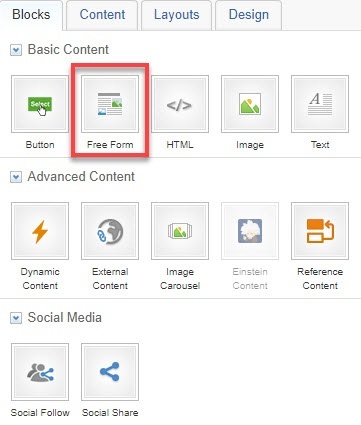 Under the Blocks tab, drag and drop the Free Form block into the area where you want the content block. 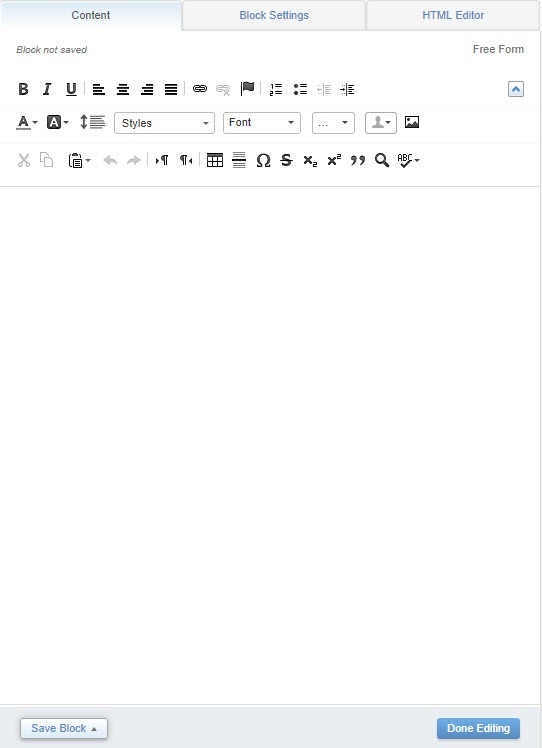 With the Free Form block, you can style text and add links and images. Under the Content tab in the left-hand pane, enter your content. Your content will preview in the right-hand pane. 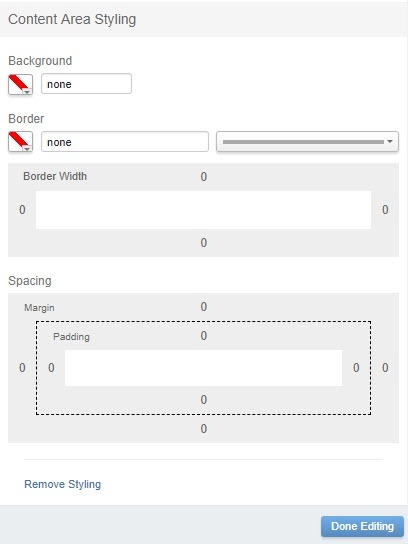 Under the Block Settings tab, set the Background, Border, and Spacing as desired.